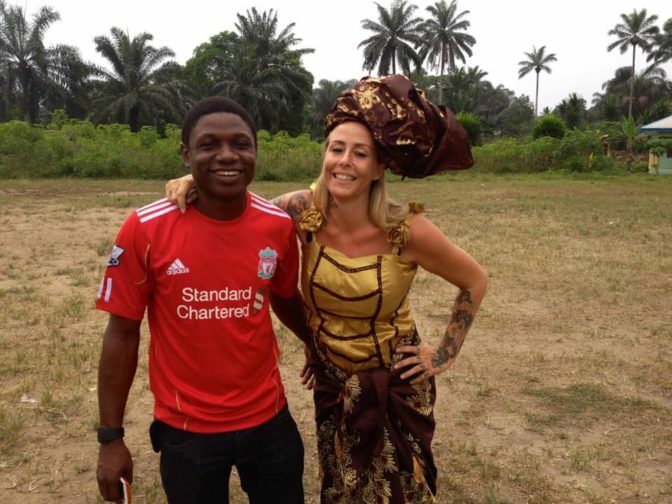 A Danish aid worker has shared her love story of how she came to Nigeria 6 years ago which changed her life forever. 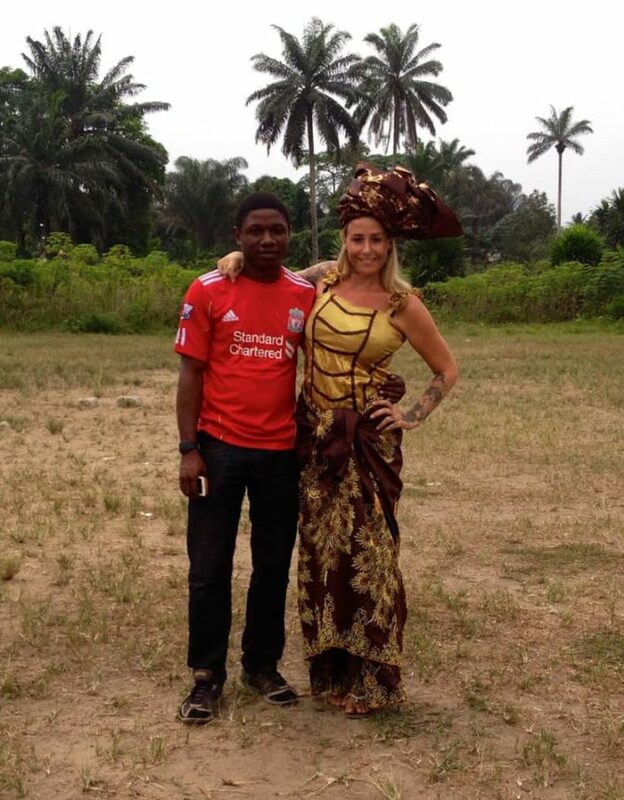 Danish aid worker and the founder of the African Children’s Aid Education and Development Foundation (ACAEDF) based in Akwa Ibom state, Anja Ringgren Lovén, has showed encomium on her partner, David Emmanuel Umem as they celebrate their 6th year anniversary today. She said her life changed forever after taking a bold step to Nigeria 6 years ago. On the 20 of March 2013 I travelled to Nigeria for the very first time. That is exactly 6 years ago today. 6 years ago my life changed forever. And today we also celebrate the International Day of Happiness. It’s a match. 6 years ago today I felt more happy than ever because I met the love of my life David Emmanuel Umemand together we saved the lives of many children. When I met David the first time he was quite annoying because the children adored him and they would always prefer him over me. He would show up while I was playing with the children and when they saw “uncle David” they totally ignored me. Back then David was already very active in politics. His dream was to be a politician. But years back when he was only a teenager he started becoming active in child’s rights and humanity. He was only 16 years old when he began to risk his own life to save innocent children outcasted by the local community. So then he decided to become a lawyer. To change the laws. To make the world a better place. I really admired David. He was and is not afraid of anything. I can say that without any doubt. He has no fear when it comes to justice. I remember the first time I saw David very angry. He is known to be the silent thinker. He is very calm even in the most dangerous situations. So I was surprised to see him explode in anger. A very young girl had been raped and infected with HIV. The local social workers refused to take care of the girl and David was furious because of the injustice and ignorance from the social workers. In the end the girl was saved because of David’s persistent and engagement. That was the day I fell in love with David. To see him angry . I remember David called me a few days after we met. He asked me if I loved roses. I said yes but 6 years ago today I’m still wondering if I’m going to get any roses . I have said this many times before but I will continue to say it until I die. David is a man of tolerance and generosity. A patriot of our time. He has wiped the tears of countless of abandoned children and given them a brighter future. Everyday he fights for justice and human rights. He has already made a great impact in his local society by supporting the youth and the widows. He is a man with a rare and unique personality. A great philanthropist who one day will become the leader of Nigeria ! Mark my words. I said it first ! David will become the President of Nigeria one day. Happy 6 years Anniversary to us.